This fiber seat board has an embossed design of a small sunflower. It is molded to fit down into a hole in the chair seat. Be sure the pattern size is smaller than the hole in your chair. This replacement seat would require a square hole that is no less than 8 2/5" x 8". Please note that this fiber seat comes in a light reddish brown tone. The red can be toned down with a stain, if desired. Contact us with questions. 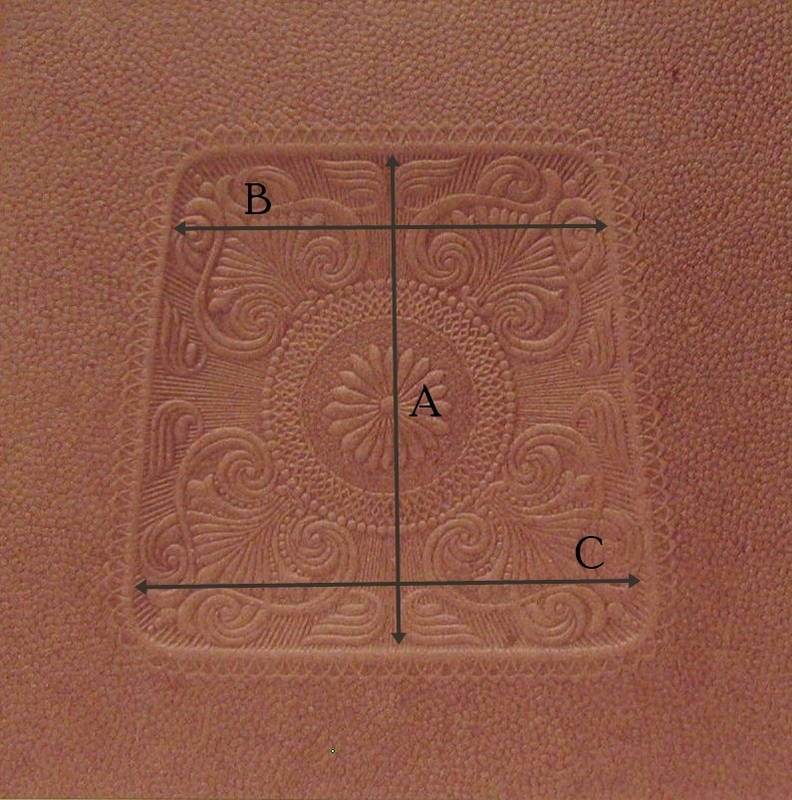 Front to back (A): 8"
Left to right at back of pattern (B): 6 3/4"
Left to right at front of pattern (C): 8 1/4"